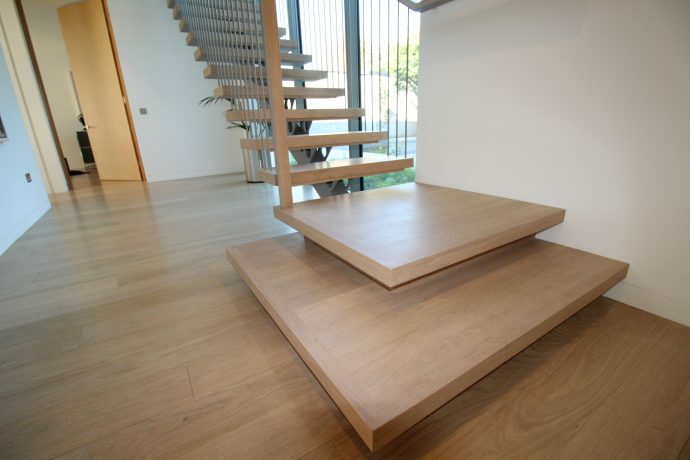 Each of our customers have specific design requirements when commissioning a bespoke staircase. 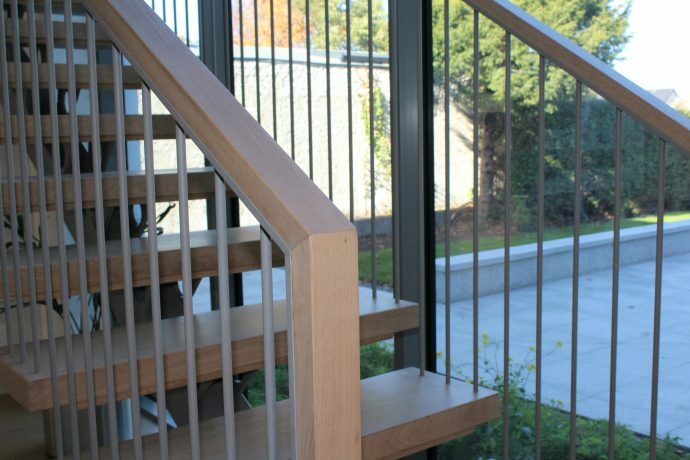 At JEA Stairs we pride ourselves on delivering a quality crafted staircase with a design to suit individual customers. 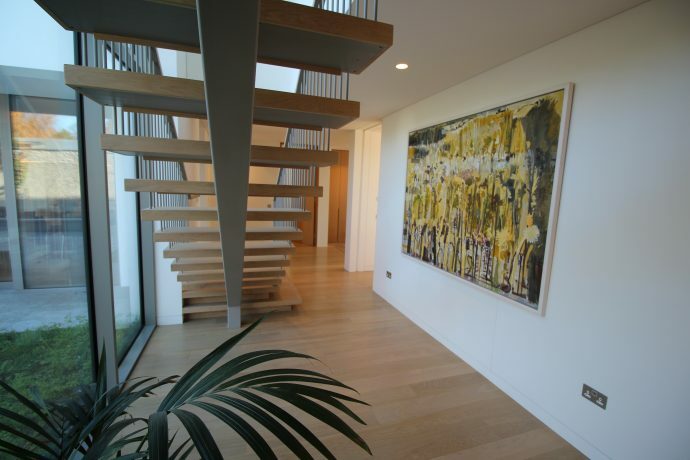 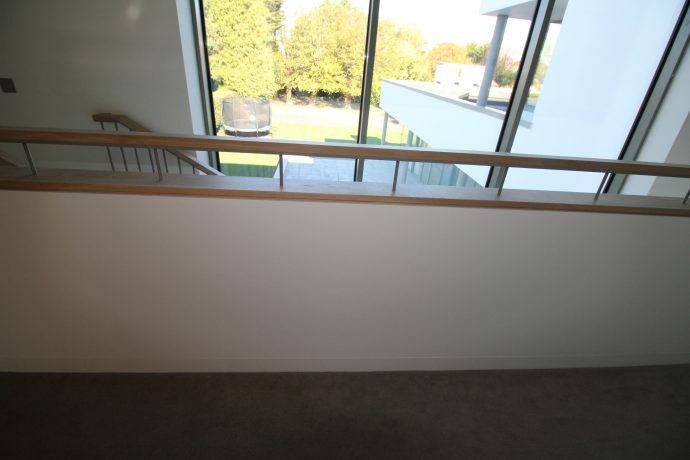 The brief given to our staircase designer in this case was for a modern stairs which would fit into a modern home. 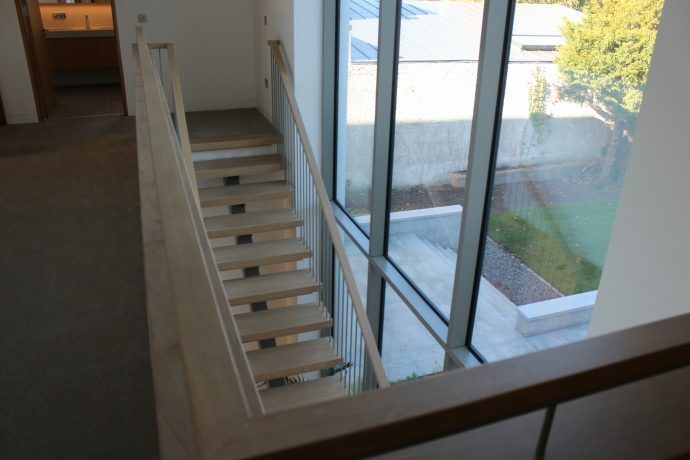 We think this simple design works perfectly. 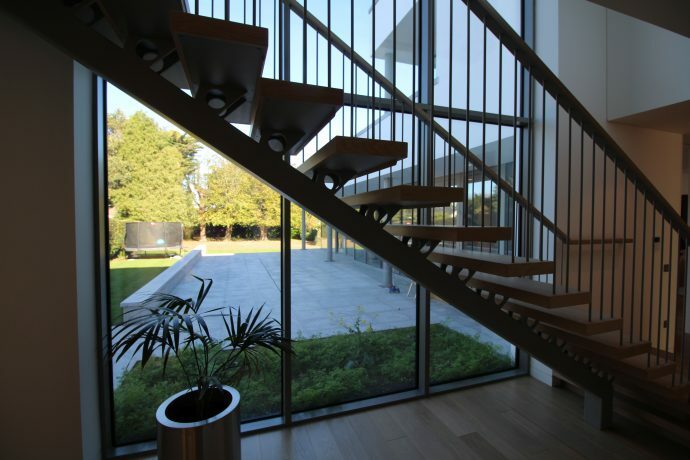 The metal spindles combined with the open tread stairs let light in from all angles and show the the simple sleek mono string stair design. 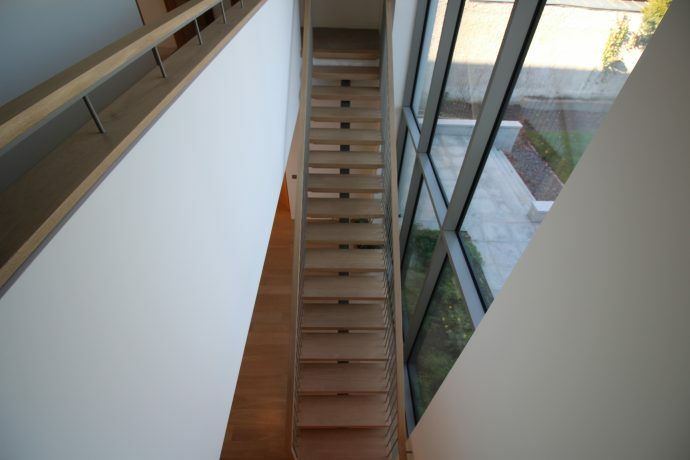 Check out our facebook page for more of our modern staircase design ideas. 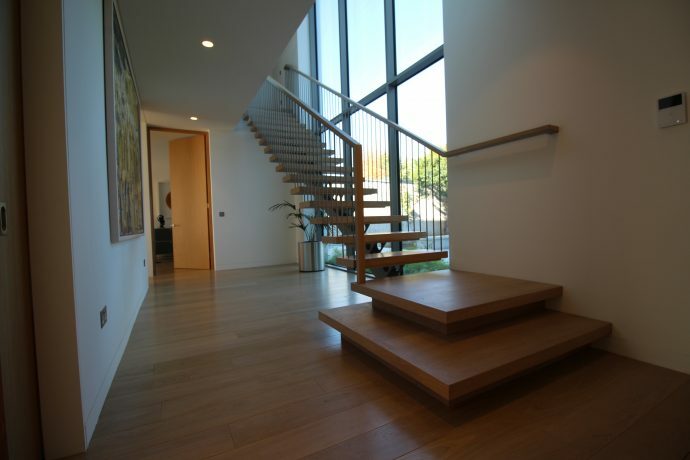 We are based in Dublin but can supply our tailor made modern staircase designs to anyway in the UK.